This project provides a ‘living classroom’ for the children of the Federal Community Preschool and a meeting and learning place for the whole Community. Rachel Heaton , a local parent is the Project Manager. the main aim is to build an increased awareness and connection for the children with in the community.We have already started to document the animals we have seen on our regular visits to the garden. This project involved the creation of a ‘Bush Foods Garden Working Group’ in Reconciliation Week 2014. Our members include the local Landcare group, local Widjabul custodians, Local Council and the wider parent. 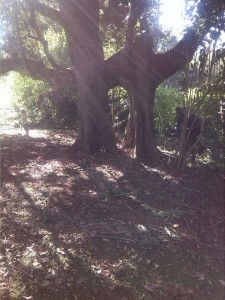 The Bush Foods Forest is designed to utilise many of the local plant species from our surrounding Subtropical Rainforest – species which offer current and traditional cultural use. 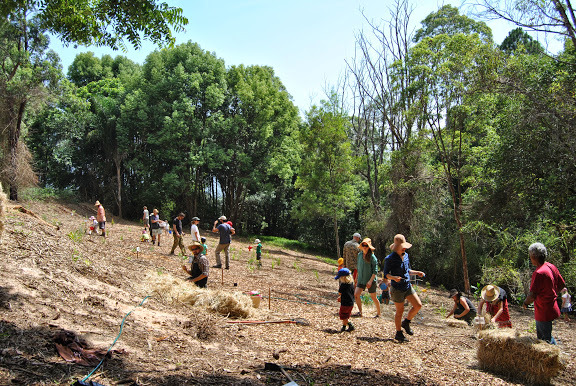 This design adds to local biodiversity and offers many opportunities for the whole community to be involved and learn about caring for our environment, including employment opportunities for the local Indigenous communities. 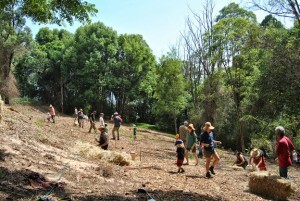 The Bush Food Educational Garden is available for community projects as they arise, such as the building of a sustainable shelter and field days, and compliments existing community amenities – including ecological restoration work Byron Shire Council has undertaken as part of the Bush Futures Project. Working closely with Byron Shire Council, the Federal Park Committee, community, local schools and Landcare groups is one of our priorities. One of our project aims was to create a Harvesting Guide’ and booklet for the children of the Norhtern Rivers. This became a reality in 2015. 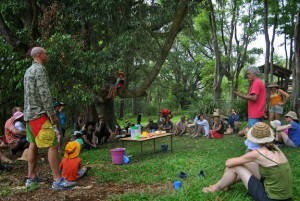 This guide provides valuable knowledge for everyone about our local bush tucker. 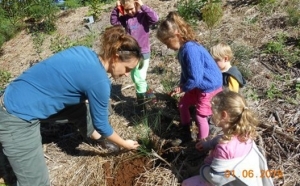 We aim to inspire others to plant bush foods from their region and take the time to appreciate nature and the beautiful native animals we have in our local communities. 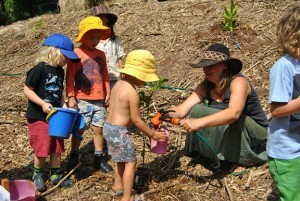 Rachel Heaton, the Project Manager has complied an amazing `Bush Food for Children of the Northern Rivers’ book. The book was designed by BCreative Pty Ltd. A special thank you to Phil Gallagher for the photo used for the cover. These are available for $20 each. Funds go towards to maintenance of the garden. 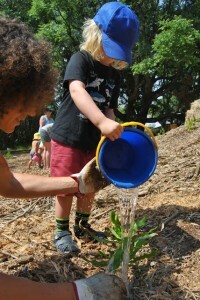 Bookings can be made for tours of the garden for school groups via our email. These are run by Rachel Heaton. The tours can be tailored to suit your groups needs. Over the next year our focus will be on obtaining funding to support the sustainability of the garden. 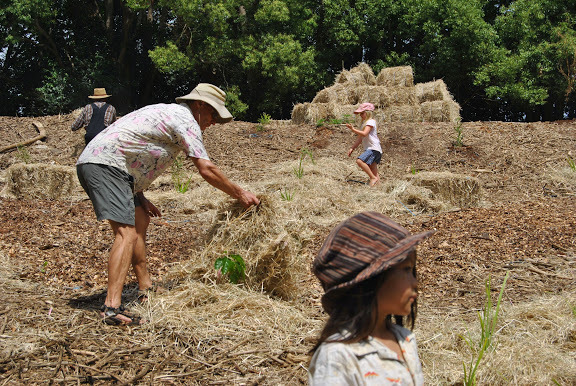 This will include funding for the Project Managers Position and to employ local Widjabul custodians to assist with the garden maintenance and for tours. Sushi Orders are available every Monday. What is the difference between Preschool and Long Day Care? To clarify any concerns in regards to the difference between Long day care and Preschool. They are both Education and care services and follow the same National Curriculum. The only difference between Long day Care and Preschool is the hours we are open. At Federal we have a specific School transition program daily which we have not found any other service locally provides. Federal Community Children’s Centre is committed to providing the highest quality care and education for children aged 2-5 years of age. 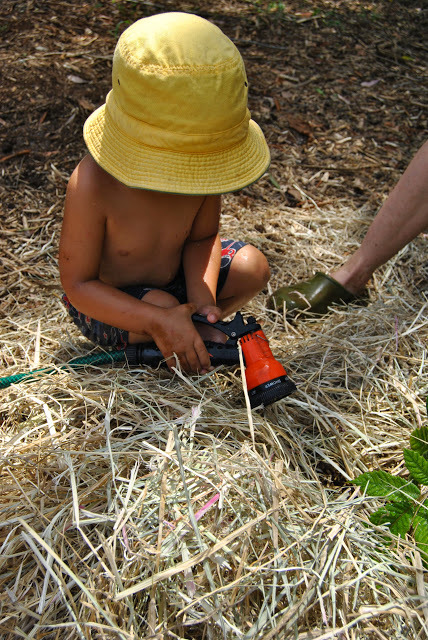 As a response to the needs of the community we offer care for toddlers and have a preschool option. Copyright 2015 Federal Community Children's Centre | All Rights Reserved. Site Design BCreative Pty Ltd.